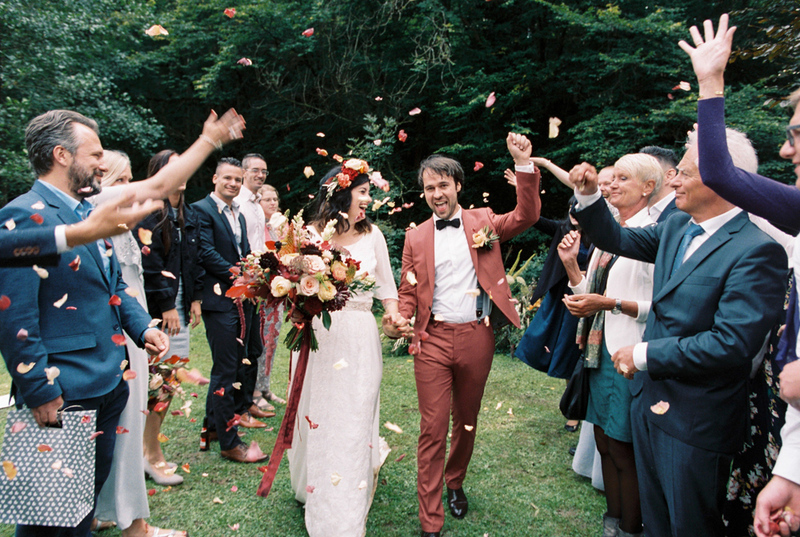 The wedding of true adventurers: Sascha&Pascal hiked through the woods with their guests, climbed giant trees for the ceremony, had a pre-wedding swim in a river, told campfire stories, toasted popcorn over a fire and most of all: celebrated their love! An urban botanic wedding in a greenhouse/restaurant, a gorgeous couple, lots of flower magic and the smiles that can light up an entire city. Chaveli&Gema's wedding was one for the books! Camp Sol.. where to begin? It was beautiful, perfect and emotional. Of course this epic wedding weekend was hard work too, but seeing my dear friend Hanke and her Mario getting married was amazing!! True love. And true love deserves true magic. So that is what we gave them!